Meet Dino Vicelli, private eye. Dino is a greyhound dog, who can talk, walk on two legs and dresses to the nines. Dino lives in New York City, where talking dogs are the norm. Dino has his own company called Vicelli and Vicelli. His motto is “Will snoop out anything”. One day a man comes into Dino’s office. His name is Jim Barnes. Mr. Barnes wants to hire Dino to locate his missing wife. Dino takes on the case, not knowing that he might have taken on more than he can chew. A mysterious female Afghan dog by the name of Jezebel appears in Dino’s office the next day. 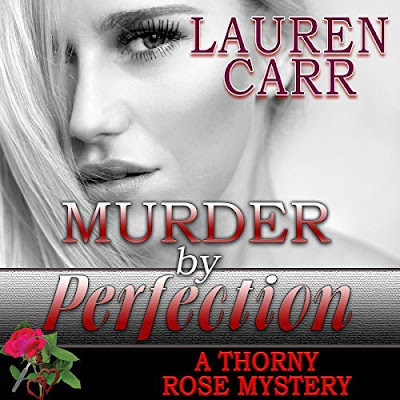 She warns Dino that there is more to Mr. Barnes than meets the eye and to be careful of him. Dino better watch himself when dogs and humans collide. 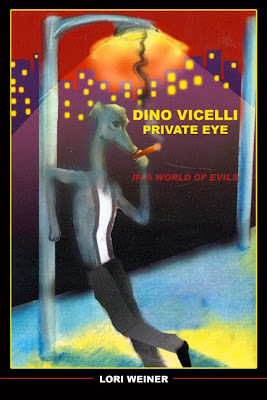 Dino Vicelli, Private Eye: In a World of Evils by Lori Weiner is a fun, quick, super sleuth story. I liked that Mrs. Weiner keep the story line simple, fast paced and to the point. Dino is definitely the star of the book. The lost interest Jezebel was good as well. Her name Jezebel was not lost on me as she was trying to distract Dino from solving the case. The ending was a pleasant surprise. One I was not expecting. I hope there are more Dino Vicelli, Private Eye books to come.